That’s the view of Telsyte managing director, Foad Fadaghi, who spoke at a Genesys media briefing this week following the release of new research into the interaction preferences of consumers. The research consultancy’s report, The shift to Human Experience: Consumer Interaction Preferences and Challenges for Industries in Australia and New Zealand, is based on a survey of 1000 A/NZ consumers designed to investigate their customer service preferences and willingness to adopt digitised forms of interaction. More than 70 per cent of respondents said speaking directly to a human agent was still their preferred method of engagement, followed by visiting a branch in-person or instore (64 per cent) and sending an email (50 per cent). Top reasons for wanting to interact with a human include a preference for not dealing with robots (70 per cent), getting better service (62 per cent), and being able to interact where and when they want (42 per cent). In addition, 72 per cent prefer to interact via the same channel for almost any type of service, from payments and purchasing to support. There was some indication consumers are warming to emerging communication channels. One in five for example, nominated online chat as a popular way of interacting with a provider. 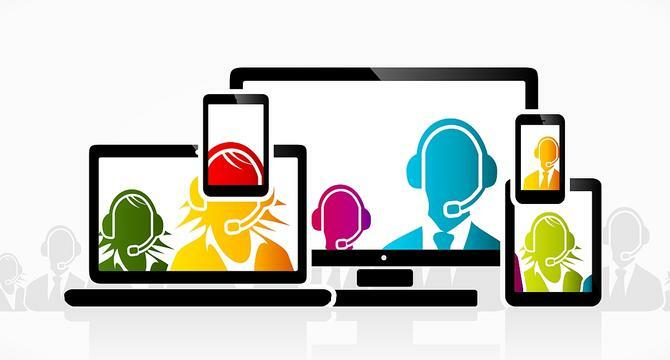 Of those using online chat, 55 per cent believed they received a better level of service, allowing them to interact with the provider where and when they wanted to. For Fadaghi, the results showed consumers still wanted that human touch even in a time of great digital change and even as more intelligent automated technologies such as artificial intelligence and chatbots hit the market. “We are entering a very interesting time, an inbetween stage in many respects,” he claimed. “Societal changes are slower than technological changes, and we see that across a lot of our research. But what’s equally clear is these different types of interfaces have to work together, Fadaghi said. He warned of the risk of moving too quickly from a human-based call centre to more automated approach, and suggested these things have to go hand-in-hand. “Organisations that navigate across that spectrum of interaction will be the ones that will be most successful going forward,” he said. The point was echoed by Genesys director of business development for digital and innovation, James Walford, who added that it’s organisations driving differentiated customer experiences that command the most powerful competitive position. The challenge many organisations still face is that their digital transformation and strategy doesn’t align to their service channels and approach, he said. This leads to siloed and poor customer interactions. “You have to remove silos and be context aware across channels,” Walford advised. “Today, service channels don’t often align to digital transformation, and people are pulling in different directions. You all need to have the same customer experience strategy. Walford also argued that while voice is clearly the preferred channel, the report shows an appetite to use other channels if they’re useful. “For example, if self-service can be efficient and effective, then consumers will embrace it,” he said. “The problem is you have to identify when it is a customer is struggling in one channel and be able to switch them seamlessly – take them off that channel and shift to an interactive agent, for instance. Rather than pushing consumers down a pre-determined path, brands must give consumers “informed choices” about the channels they can use to interact with you brand, Walford added. The Telsyte report also analysed the impact of bad customer service on consumers, and found 57 per cent will share customer service dissatisfaction with family and friends. In addition, more than half will actually stop using the company altogether because of poor customer service. Just under one-third have ended a relationship with a brand because of poor customer service, and 5 per cent have cut ties because the provider didn’t offer their preferred channel customer service interaction channel. Australian health insurance fund, NIB, is a Genesys technology customer. Its head of contact centre operations, Tanya Eglington, said the group has worked hard to remove channel silos in order to provide consistent and personalised service to its members at the time they need it. And that means putting people at the heart of the approach, she said. To do this, NIB now has a three-band process in terms of agent training and learning. The first band is sales and service, both inbound and outbound, and is voice-based to begin with, Eglington explained. From there, teams are trained to communicate that knowledge via different channel methods. Coupled with its service technology platform, NIB now has the ability to workflow distribute intelligently to the appropriate person an inbound and outbound call, chat, email and so on, Eglington said. In addition, the organisation has a master ‘customer plan’; a high-level, strategic plan clearly stating where ownership sits, and which parts of the business influence how those experiences come to fruition. NIB also has a customer experience team focused on ensuring voice of customer is not only collected but shared and actioned, and Eglington said there’s a constant emphasis on listening to the customer first-hand along with a culture of constant improvement across the organisation. Metrics are another key, and what’s helped NIB is a heavy reliance on customer-led metrics, such as Net Promoter Score, Eglington said.